June 8, 2015 – More than 100 days after it launched, NOAA’s Deep Space Climate Observatory (DSCOVR) satellite has reached its orbit position about one million miles from Earth. On June 20, 2013, NASA’s Solar Dynamics Observatory spacecraft captured this coronal mass ejection (CME). 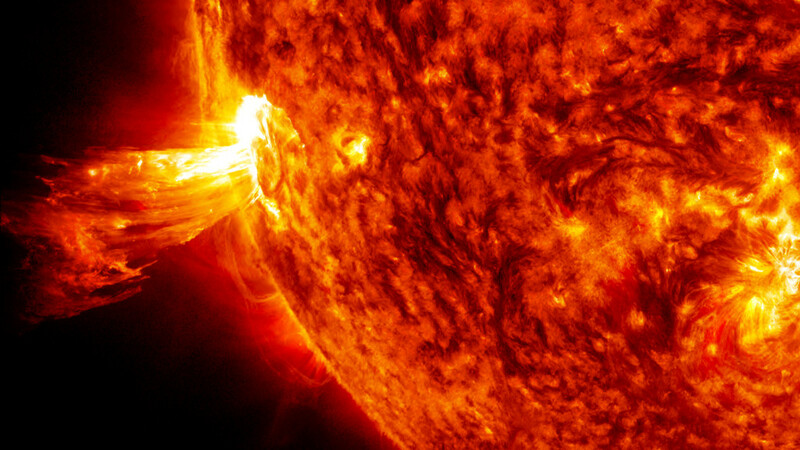 A solar phenomenon that can send billions of tons of particles into space that can reach Earth one to three days later. Image Credit NASA. In addition to space weather-monitoring instruments, DSCOVR is carrying two NASA Earth-observing instruments that will gather a range of measurements from ozone and aerosol amounts, to changes in Earth’s radiation budget—the balance between incoming radiation (largely from the sun) and that which is reflected from Earth. This balance affects our climate. “DSCOVR has reached its final orbit and will soon be ready to begin its mission of space weather monitoring for NOAA and Earth observing for NASA,” said Al Vernacchio, DSCOVR project manager at NASA’s Goddard Space Flight Center, Greenbelt, Maryland. 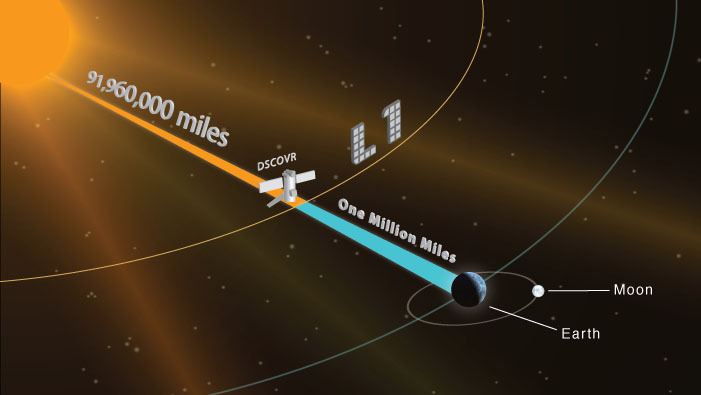 NOAA’s Space Weather Prediction Center in Boulder, Colorado, will begin using data from DSCOVR in its space weather forecasts as soon as DSCOVR is deemed operational. The DSCOVR mission is a partnership between NOAA, NASA, and the U.S. Air Force. The Air Force provided the Space X Falcon 9 launch vehicle for the mission. NOAA will operate DSCOVR from its NOAA Satellite Operations Facility in Suitland, Maryland, and process the space weather data at NOAA’s Space Weather Prediction Center (SWPC) in Boulder, Colorado, one of NOAA’s nine National Centers for Environmental Prediction. SWPC will distribute these data to users within the United States and around the world. DSCOVR also hosts NASA-funded secondary sensors for Earth and space science observations. The Earth science data will be processed at NASA’s DSCOVR Science Operations Center and archived and distributed by NASA’s Atmospheric Science Data Center. Ball Aerospace & Technologies Corp. developed the advanced radiometer instrument – called Scripps NISTAR – working with the National Institute of Standards and Technology (NIST) and the Scripps Institution of Oceanography.